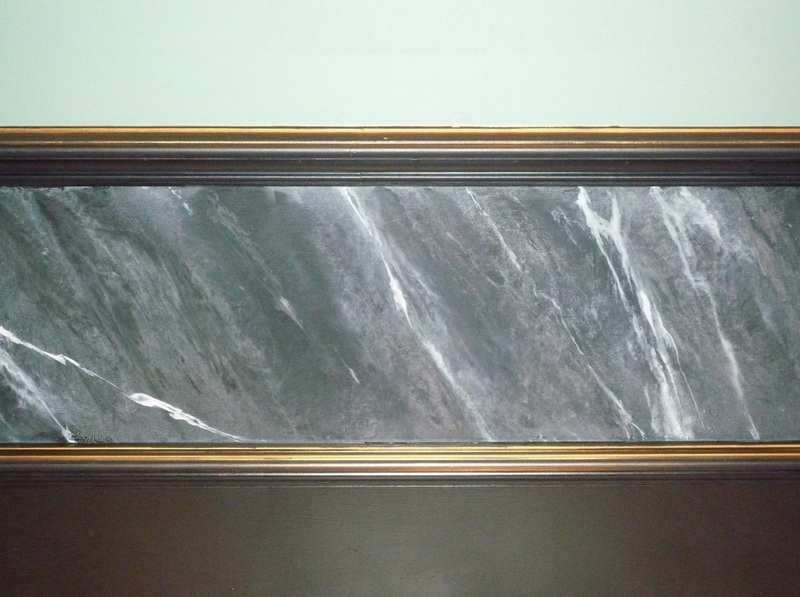 For this faux marble commission I was contacted by the curator of the ‘Fine Art’ Exhibit in the Sunderland Museum & Winter Gardens. 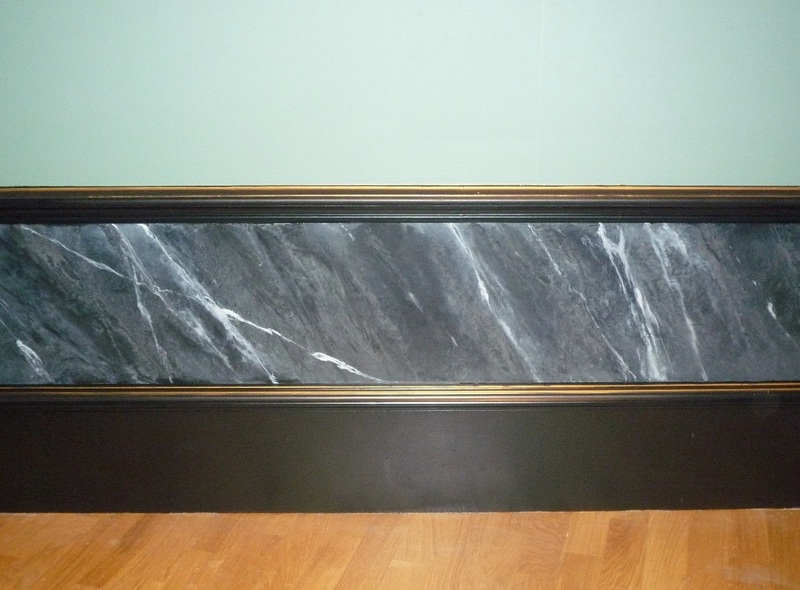 They were updating the rooms and wanted to create a realistic painted marble effect below the dado rail. 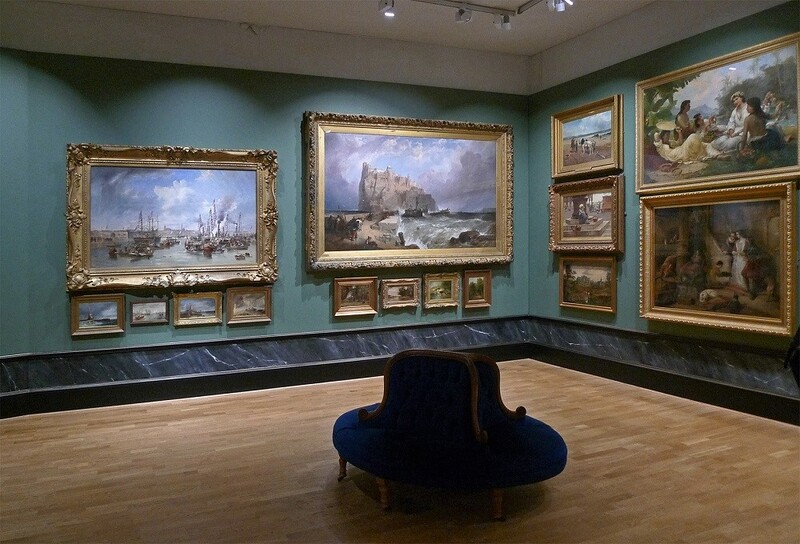 Hand painted marble effects were very fashionable in the nineteenth and early twentieth Century’s, and as this part of the museum houses predominately Victorian paintings it seemed very fitting to create a faux finish that was in keeping with the trends of the day. 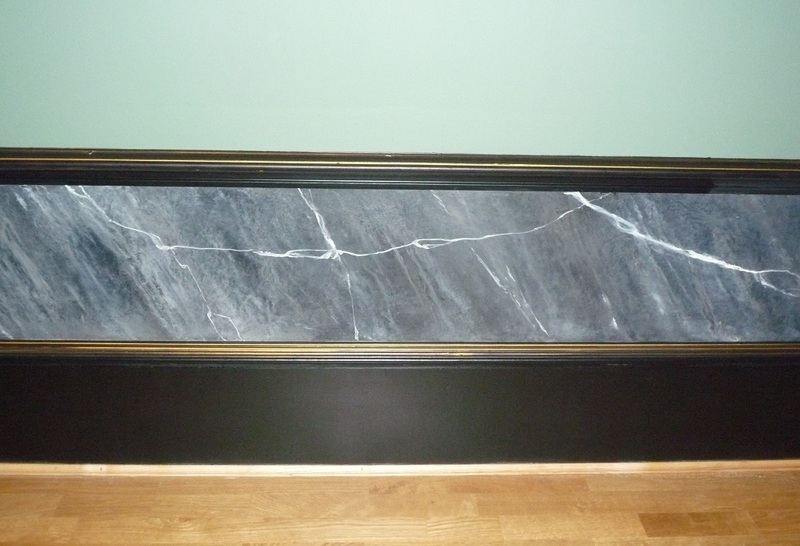 The area was first painted black and then overlayed with charcoal and white glazes to create a rich faux marble effect and a real Victorian feel. The edges of dado and skirting board were also highlighted using gold gilt wax which would compliment the picture frames and add further decadence of the room.